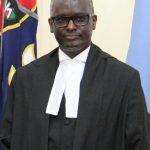 Anne Atieno Amadi, an advocate of the High Court of Kenya, holds a Masters in Criminal Justice from Boston University, USA, a Bachelor of Laws degree from the University of Nairobi and a Post Graduate Diploma in Legal Practice from the Kenya School of Law. She holds two other Post Graduate Diplomas, one in Alternative Dispute Resolution from California State University and another in Law of Internal Displacement from the Institute of International Humanitarian Law, San Remo, Italy. 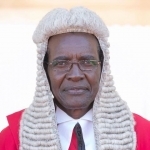 She joined the judicial service as a District Magistrate II (Prof.) in 1990 and rose through the ranks to become a Resident Magistrate before joining private legal practice as Sole proprietor at A. A. Amadi & Co. Advocates between 1997 and 2003. 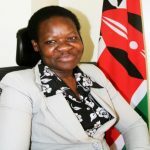 Mrs Amadi served at Federation of Women Lawyers – Kenya (FIDA) as Deputy Executive Director between 2003 and 2008 and as the National Coordinator of National Legal Aid and Awareness Programme (NALEAP), Ministry of Justice National Cohesion and Constitutional Affairs, between 2008 and 2011. 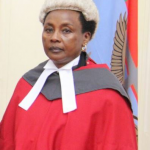 Until her appointment as the Chief Registrar of the Judiciary, she was working as a Consultant.